It happens to everyone at some point. You walk away from the closing table wondering if you made the biggest mistake of your life. Did you sell your Bloomfield Hills home for less than it was worth? Will you be able to create new memories in your new home? This is called seller’s remorse. Seller’s remorse is a fear, and you should deal with it just like you would any other fear. Talk about it with your friends, family, and real estate agent. They can listen to you and reassure you that you made the right decision. Remind yourself of the facts. Facts are the opposite of fear, and they will help take your focus off your fears. If you are moving because of a job relocation, you had to sell your home. If you had to sell your home because you couldn’t afford it, whatever you got for the home is better than ruining your credit. Find out what other Bloomfield Hills homes are selling for. Look through the classifieds. Drive around town. Ask your real estate agent. When you see what other homes have sold for, you can rest assured that you got a good price. Remember to look at the sale price instead of the asking price. Treasure your memories. The memories go with you when you leave; they are not confined to four walls and a roof. Look to the future. Now, it’s time to start a new chapter in your life and make fresh memories in your new home. Enjoy this new turn your life is taking. Look back fondly, but embrace your new path. Let me help you get top dollar for your Bloomfield Hills home so you can avoid seller’s remorse. Call me today at 248-514-2640 or email me at info@NorthWoodwardHomes.com. Before Southeast Michigan real estate – or real estate anywhere, for that matter – was bought and sold, it was just… owned. “Possession is nine-tenths of the law.” If you wanted some land, you found it, fought for it and kept it. Legal rights weren’t even a thought. William, Duke of Normandy, felt he had a claim to the throne of England. King Harold Godwinson, crowned king in January 1066, didn’t much agree. While it took until October, William and Harold met on the battlefield at Hastings; Harold was killed, William moved on to storm London. Upon his coronation, William became King William I of England. He then made a proclamation that went something like, “I came. I conquered. Give it.” William I claimed the complete ownership of all land in England based on right of conquest. He won the battle, so it only made good sense to claim the spoils, and possession equaled ownership. English aristocracy and the feudal system began. Lords could bargain with the King, who then might make them tenants-in-chief through tenure, or estate. The most extensive and complete estate was called the Fee Simple Estate (also known as an estate of inheritance, fee simple absolute or fee ownership), the basis of our real estate laws now, in America. When our British ancestors spread across the pond to American soil, they brought Fee Simple Estate with them. And, they claimed America by King William’s idea of “right of conquest.” However, they also developed the concept of an informal association of agents in the 1880s. In 1908, they formed the National Association of Realtors® (NAR). At that time, the NAR had a whole 19 Real Estate Boards and one state association! While the history of real estate associations probably isn’t that exciting, unless you’re trying to pass a test, modern real estate laws are based off that history. Although things have changed in terms of law, they really haven’t changed that much in terms of conquest. Okay, so maybe now the army is real estate agents and the weapons are contracts, but you still have to fight for the land you want. If you’re looking for Southeast Michigan real estate to buy and you’re feeling tentative, it’s time to buck up a little. Buying and selling is still a matter of conquest, and it can still get rough. Negotiations, for instance, aren’t usually quiet discussions over Earl Grey tea. Before you go house hunting, do yourself a favor and make sure you’re armed… with a good real estate agent. If you’re looking for a great piece of land to call your own, I can help. Call me at 248-514-2640 or email me at info@NorthWoodwardHomes.com for more information. 1. Clean. I’m sure you’ve already cleaned every part of your Bloomfield Hills home to prepare it for sale. Make a game of it this time. Time yourself to see how fast you can clean one room or one drawer. Or, take out every type of cleaner you have and use it in each room. 2. Plant a container garden. The best part of a container garden is that you can take it with you. Plant some herbs or easy to grow vegetable plants, like tomatoes or cucumbers. 3. Sort through your magazines. Now you have the time to read all those magazine articles you’ve been saving. Cut out coupons and recipes. Send articles to your friends to let them know you’re thinking of them. Throw out the magazines when you’re finished. 4. Clear the pantry and freezer. You don’t want to take all your excess food with you when you move. Clean out the pantry, and donate supplies to your local homeless shelter or food pantry. Eat something from your freezer every day until it’s all gone. 5. De-clutter and eliminate. Clean out your makeup stash. Weed through the kids’ toy box. Do any small task that will lighten your moving load. Ask yourself, do I really want to pack this item, move it and then unpack it? If the answer is no, pitch it or give it away. 6. Finish crafts. Go ahead and finish the quilt or scrapbook you’ve been working on. This will help clean out your craft closet and will make packing your craft supplies that much easier. 7. Empty your medicine cabinet. Do you really need that bottle of medication from your surgery 12 years ago? Toss anything that’s out of date or that you no longer need to keep. 8. Save your digital photos to a disk. Choose only the photos you want to keep and save them to a CD or flash drive. You never know when your computer is going to crash. 9. Have a yard sale. You need to clean out your closets anyway. You might as well make some money off the items. Take advantage of the time you have while waiting for your Bloomfield Hills home to sell. Need help selling your home? Call me today at 248-514-2640 or email me at info@NorthWoodwardHomes.com. When you look for a mortgage to purchase Bloomfield Hills real estate, you want to find one that allows you to buy the biggest house possible for a monthly payment you can afford. This seems simple enough. All you need to do is a little division to determine your monthly payment. 1. Interest and Principal. Only part of your monthly mortgage payment actually pays down your loan. A portion of your mortgage payment goes toward your loan principal and part of it pays the interest. The longer you have your loan, the more money goes toward your principal. Be aware that at the beginning of your loan term, most of your payment goes toward interest and does little to reduce the amount of money you owe on your home. 2. Homeowner’s Insurance and PMI. 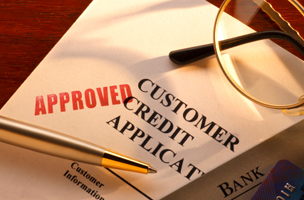 Typically, your lender collects money to pay your homeowner’s insurance premium. This increases the amount of your monthly payment and can change if your insurance company raises or lowers premiums. Depending on your loan amount and property value, you may also have to pay private mortgage insurance (PMI) which protects a lender against loss if you default on your loan. 3. Property Taxes. In most cases, your annual property taxes will be paid through your lender. The lender collects extra money each month that they pay to your local government at the end of the year. When local taxes increase or decrease, so does your payment. Call me today at 248-514-2640 or email me at info@NorthWoodwardHomes.com to help you find the home (and mortgage provider) of your dreams. 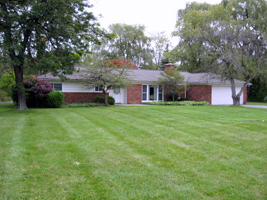 Are you tired of looking for a Royal Oak Michigan home for sale? Have you found any that had everything you wanted, but cost too much? Are you dissatisfied with the selection? A while back, I had a buyer tell me he didn’t want to spend more than $100,000 on a Royal Oak Michigan home for sale. He gave me a long list of features he felt the house must have – a pool, a big kitchen for his wife, four bedrooms, etc. With it being his market (a buyer’s market), he said, I should have no problems finding a home with those qualifications and that price. He refused to budge on any of it. That buyer is no longer my client. When you look at a Royal Oak Michigan home for sale that you can afford, also look at the possibilities. Can the affordable home be remodeled over time into the dream home you want? If you’re looking for a home with great potential, I can help. Call me at 248-514-2640 or email me at info@NorthWoodwardHomes.com. Owe More than Your Royal Oak Michigan Home is Worth? If you’re a homeowner who is unable to refinance to a lower interest rate because your Royal Oak Michigan home’s value has decreased, there’s hope. If you have questions about HARP or any other questions about Royal Oak Michigan homes for sale, please give me a call today at 248-514-2640 or email me at info@NorthWoodwardHomes.com. If you’re in the middle of buying Troy Michigan real estate, for which you’re hoping to get a Homebuyer Tax Credit of up to $8,000, you have more time to finalize it. Extending the tax credit closing deadline will provide additional stability to Troy Michigan real estate and real estate markets nationwide. Additionally, the National Association of REALTORS® (NAR) estimates that this new extension will help about 180,000 to 200,000 homebuyers who already signed purchase agreements and were likely to miss the June 30 deadline. Those are two of the reasons the NAR worked closely with Congressional leaders on both sides of the aisle to get this extension approved. Voter pressure on House members also helped to push this bill through. Have questions about the Homebuyer Tax Credit or any other questions about Troy Michgian real estate or Oakland County real estate? Give me a call today at 248-514-2640 or email me at info@NorthWoodwardHomes.com. I’m happy to help. 1. Stop generating heat. Turn off your computer and monitor when not in use. Lower the thermostat on your water heater. Air dry your dishes instead of using your dishwasher’s dry cycle. Grill outdoors or use your microwave instead of your oven. 2. Install shades or blinds. The best way to keep your Bloomfield Hills home cool is to keep the heat out. White window shades, drapes, or blinds reflect heat away from your house. Close blinds, shades and draperies facing the sun to keep the sun’s heat out and help fans or air conditioners cool more efficiently. 3. Use a programmable thermostat. Automatically adjust your air conditioner’s setting at night or when no one is home. 4. Improve your air conditioner’s efficiency. Add insulation around A/C ducts that are in hot spaces such as attics, crawl spaces and garages. Make sure your fireplace damper is closed. 5. Turn on a fan. Whether you use a box fan, a ceiling fan or an oscillating fan, this one appliance can make your room feel 6 to 7 degrees cooler. You can keep a fan on for 12 hours a day and still spend less than $10 a month on electricity for it. 6. Open your windows. Once the sun goes down, and it gets cooler outside than inside, turn off your A/C and open your windows. Getting a breeze of fresh air after your home has been closed up all day is very refreshing. 7. Run your furnace fan. Check your thermostat to see if it allows you to run your furnace fan without engaging the furnace or air conditioner. By running your furnace fan, the air circulates throughout your home balancing out any cold or hot spots. This makes your entire home feel more comfortable. Additionally, allergens that entered your home when your windows were open (see tip 6) will be trapped by the furnace filter. 8. Move heat generating appliances. Don’t place lamps or TVs near your air conditioner’s thermostat. The heat from these appliances will cause the air conditioner to run longer. 9. Live in your lowest level. Because heat rises, the basement and first floor of your home are naturally cooler than the upper levels. Spend as much time as possible in the lowest levels of your home this summer. If the majority of your time is spent there, you may want to close up the A/C vents in the unused upper levels to save even more money. 10. Hang laundry outside to dry. Your clothes dryer is like a spinning oven. Don’t heat up your home by turning it on. Instead, go for the green fix and hang your laundry outside to dry. If your neighborhood bans outdoor clotheslines, wait until the cooler evening hours to use your dryer. Stay cool and enjoy your summer for less! How do you save on energy bills? I’d love to hear your ideas. Post a comment here, or email your tips to me at info@NorthWoodwardHomes.com. Rejection is a hard thing to face in life, whether it’s from a potential client, a potential boss or a potential home seller. As a Southeast Michigan real estate buyer, your stress level might be reduced if you’re aware of some of the reasons a seller may reject your offer. Before I give you the list of reasons, I’d like to mention that even if you and your buyer’s agent do everything right, the seller may still reject your offer. It frequently has nothing to do with you. 1. The offer wasn’t enough for them to pay off their mortgage. For most sellers, the bottom line is paying off their mortgage. If your offer won’t cover the mortgage, they cannot accept it. 2. They may have just been testing the waters to see what they can get for their home. 3. Their plans may have changed. People put their homes on the market because they need to move, they want to upgrade their home, or they can no longer afford their home. 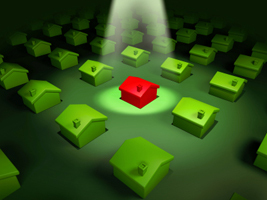 If the circumstances change, they may not need to sell their Southeast Michigan real estate. 4. Their deal may have fallen through. Perhaps your seller was buying another house contingent on the sale of their property. If something went wrong with that deal, they may not be able to sell their home to you. 5. You may be asking too much of them. The seller may not have the time or money to make any repairs they think are insignificant. Perhaps you want to close too soon or would like to move in to the home before closing. Don’t get depressed when a seller rejects your offer. There may be many reasons for their refusal. Help your Southeast Michigan real estate agent develop a counter offer, or move on to a new opportunity. There are a lot of homes on the market. You may be pleasantly surprised when you start looking again and find a home that fits your lifestyle even better. When you’re ready to buy a home, I can help you find a great home and negotiate to a successful “Yes, we’ll accept your offer.” Call me today at 248-514-2640 or email me at info@NorthWoodwardHomes.com to get started.